We accept children ages 3 through 5 years. We are a co-op preschool and encourage parent participation. Parents are asked to sign up to assist in the classroom once per month. We also asked them to furnish snack for their child’s classroom. If a parent chooses not to co-op, a $15.00 additional fee is added to the monthly tuition. Parents also transport and accompany their child on various field trips taken throughout the school year. We ask that parents volunteer for at least one party throughout the year by providing a treat or planning a craft or a game. Guest speakers (sometimes parents) are asked to come in and speak to our students giving them a variety of experiences. Timber Faith promotes spiritual growth through Christian values used in our classrooms. It is through physical, emotional, social and cognitive experiences that children gain competence in the classroom and form a positive self-image. 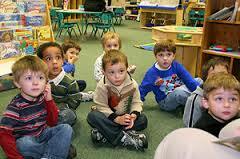 Our curriculum is aligned with the Ohio Early Learning Development Standards. We begin each day with the Lord’s Prayer and the Pledge of Allegiance. 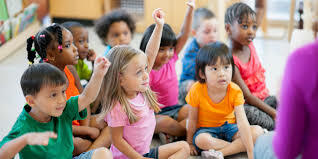 We use various techniques of teaching children based upon individual needs. We use various strategies of instruction including small group, large group and individualized attention. As we are preparing children for Kindergarten success, we learn to take turns and feel comfortable in a school environment. Letter knowledge, number knowledge, small muscle and large muscle coordination are enhanced by allowing the children to engage in centers during “Free Play” time. During this all important part of the day, children are learning social skills by setting up play scenarios and solving problems. . Timber Faith Preschool strives to provide the community of Wilmington and surrounding areas with a traditional faith-based preschool while changing to meet the needs of our families and children. For more information call Sara Maus, Director at (937) 382-2185 or email at timberfaithpreschool@frontier.com. i-Pad users please click here to view PDF below.